This card is part of the Helmar 6-Up Die-Cut Set that currently consists of 77 cards. 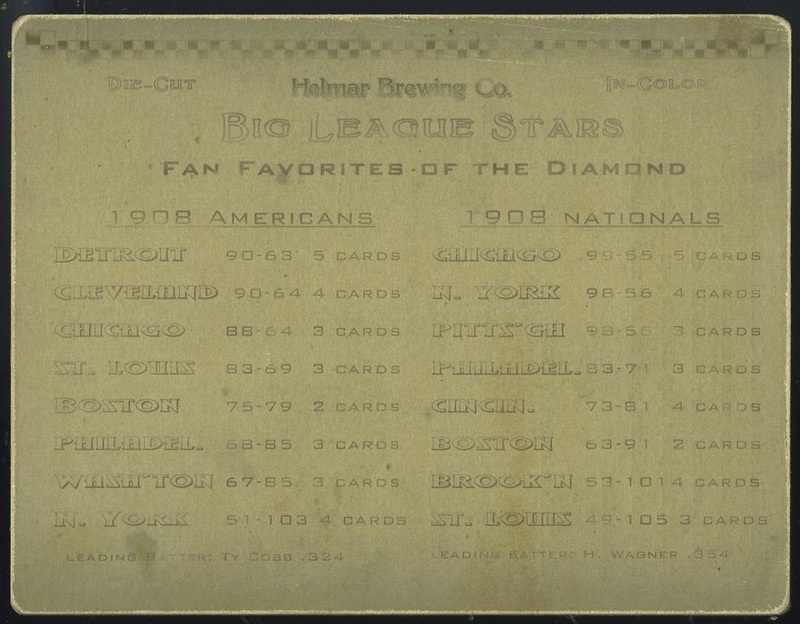 Fifty-five of those cards feature big league teams while the remainder consists of seldom-seen minor league cities. Each card is sized at 4.5” x 6”, with some variance. We are planning to offer a few different cards from the series each week until our supply is exhausted. The total production will not exceed 25 sets, likely quite a few less. They are available only as singles; never in full sets.